Today it was time for the last blood sampling first week after stem cell transplant. I got a printout of all blood values with me home. The only thing I can conclude is that all values ​​are good. I've probably left ​​100 tubes of blood the last week. No wonder I'm hungry all the time. I will meet with the research doctor in a few weeks. Then I ask her what it all means. I'm spirited, but feel a little spastic and tingling in the legs and lower back. The parts of the body that I have the least contact with. It could be within the tolerances for a very good or bad day. 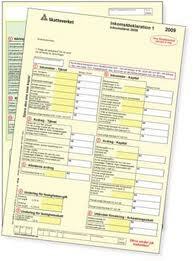 In Sweden, all citizens submit their tax return on May 2. Accordingly I and half of the Swedish people sat bent over their forms this last week. Sweden is a good country in most ways, but the bureaucracy can be cumbersome. The social safety net is one of the best in the world, but it costs a lot of tax money. The state is doing everything they can to get their tax money. Then it can get a bit complicated.